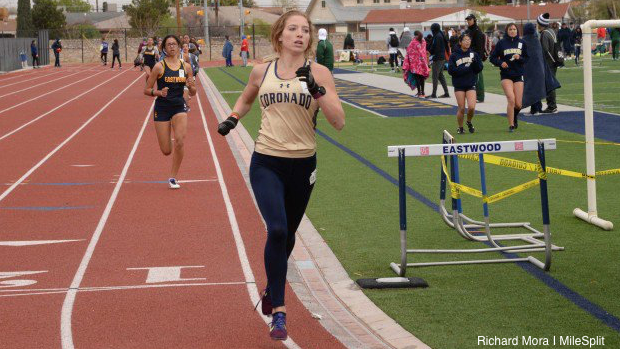 El Paso Coronado senior and 2018 UIL 6A 800m medalist Jennelle Jaeger-Darakjy leads the 800m in El Paso last weekend. It's all about the senior. They rule their schools and they rule the track. The 2019 spring season and the 2019 track season are both still warming up, but the senior class is still putting it down on the track and in the field. Find out who the top girls and boys are for the senior class for the 2019 track and field season.